A small monsoonal flood of about 1000 CFS n 8/2/16. 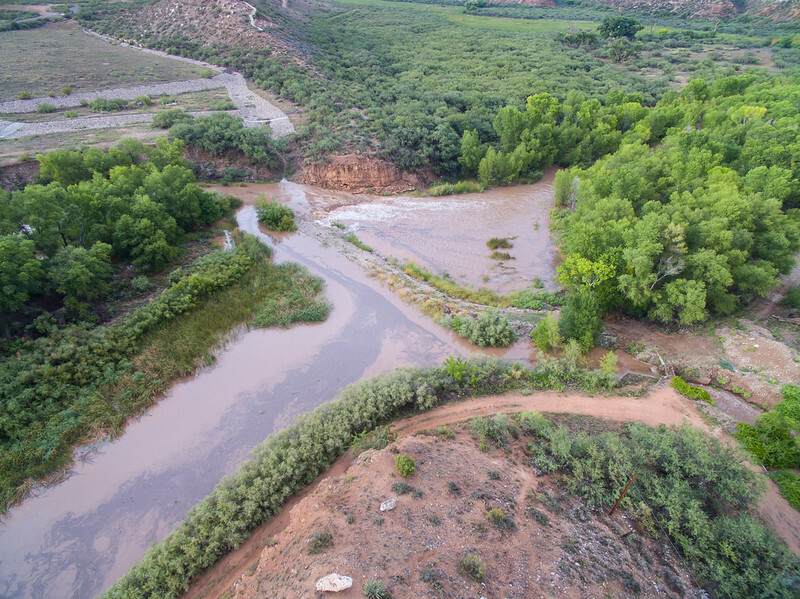 Monsoon flooding on the Verde River, 8/2/16. Monsoon flooding on the Verde River, 8/2/16. This flooding all came in between the Clarkdale gauge and Clarkdale. The Clarkdale gauge showed only 70 CFS, as this (approx. 1000 CFS) ws running through the VrdeRiver @ Clarkdale.